This reported campaign contributions information comes from the OpenSecrets/Center for Responsive Politics API (read more about their campaign-contributions-per-industry API). 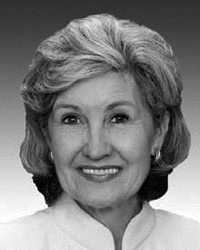 You can also visit the OpenSecrets profile for Sen. Hutchison. A list of statements and legislative actions made by Sen. Hutchison relating to PIPA. Contact us at sopa[at]propublica.org if you have additions or corrections. "Senate Majority Leader Harry Reid, who was a strong supporter of PIPA, has withdrawn the bill from Senate floor consideration. I agree with this decision. Although there are legitimate issues to be addressed regarding so-called internet piracy, I believe that several provisions of the current legislation need to be clarified or revised. Protecting intellectual property is more challenging than ever before. For example, high speed broadband enables access to the entire catalog of movies, music, books, television, and technology. These protections should not censor free speech, nor should they hinder innovation. Online promotion of counterfeit goods by foreign entities is also a growing concern. Assessing how to protect copyright, patent, and intellectual property rights — and doing so without infringing on consumers’ legitimate interests — requires dealing with a complex series of problems." "I believe copyright protection is a foundation for innovation. Intellectual property is the creative core of the information age. Patent and intellectual property ownership laws offer needed protection for the economic and other interests of inventors, entrepreneurs, performers, and other creative thinkers. These protections are also important to future growth and employment in important U.S. industries...Online promotion of counterfeit goods by foreign entities is also a growing concern. How to protect copyright, patent, and intellectual property rights - and do so without infringing on consumers' legitimate interests - requires dealing with a complex series of problems."